Planning out on replacing the garage door or fitting a new one certainly calls for some things to keep in mind. Not only restricted to accommodating your car inside the garage, it also serves the purpose of providing security to an alternate entrance of your house. Garage doors as believed are not some any doors that can be designed at our ease. To bear the purpose of designing the garage doors, many factors come into play. In order to understand the importance of garage doors, let’s hover back in history to see what garage doors served as? Earlier times had no means of modern transportation; people used to accommodate carriages and domesticated animals through the door. Slowly the industrial revolution changed the face of these doors and with the inception of motor vehicles comes forth the concept of garage doors. However, not all the cars are of same size so the question might arise as how wide is a garage door to accommodate your newly bought car. In order to shed light on the garage door size, factors such as height and width comes into effect. Irrespective of the garage doors knowledge, there are many experts who you can call out to get the ideal size of the garage doors. This factor cannot be defined by keeping the car’s height. The standard garage door height is around 7 feet tall. However, some prefer to keep the height at 8 feet in order to accommodate vans and boats. Garage door widths can be considered depending on your need. Whether you want to accommodate one car then the standard size is around 9 foot wide. When your requirement is for two cars, then width will change to around 16 foot wide. The average garage door size remains restricted to the mentioned dimensions with an exception of changes in 1 foot more or less. It might come as a surprise but simply building the garage door does not cope up the standard demands of style. Depending on your house style and theme, there are available options for choosing the right garage door for your house. Garage doors made with sturdier construction serves a better purpose than the decorative ones. 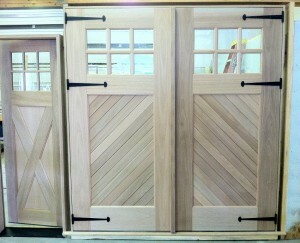 Garage doors come up with different styles. It all depends on which suits your house the best. Certainly, picking up the garage door oddly fitting the configuration of the house does not bode well with the terms of style. Out of many garage door sizes four basic types are available and customized in the market. Roll up, Swing in, Swing out, and slide to sides. Before picking up the one for your garage, always check the dimensions of the house. You cannot simply pick the sliding doors when your garage doors do not meet the requirements of single garage door sizes standard. If you are planning to choose the roll up door, make sure there is enough space between the door height and the flooring. The best one to pick out of the four is the roll up since it uses less space. Swing out are also commonly seen in the houses whereas as sliding doors are not usually seen since it tends to acquire space hence commonly used in the countryside where larger space is available for the garage. It is always important to choose the best garage doors for the house along with the standard garage door size and always plan out ahead for the future requirements. It is advisable to have more room in the garage to accommodate a little extra inventory in your garage.